1. Melt the butter in a large skillet over medium-high heat. Stir in the shrimp, garlic, and green onions. Cook and stir until the shrimp are pink on the outside and no longer translucent in the center, about 5 minutes. 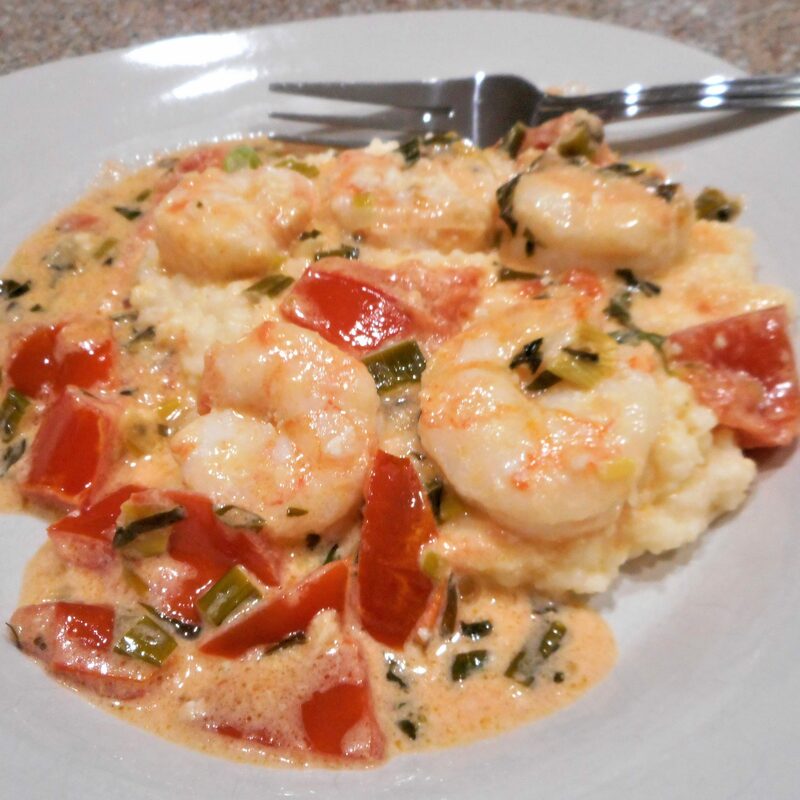 Remove the shrimp and set the aside, and pour in the wine, cream, tomatoes, basil, and cayenne pepper. Bring to a simmer, then reduce the heat to medium-low, and simmer until the sauce will coat the back of a spoon, about 10 minutes. 2. Stir the shrimp back into the sauce, and season to taste with salt and pepper. Heat through and serve.